• Digital drawing, painting or photo editing? Whatever you love to create, Wacom Intuos has everything you need to make it happen. It’s easy to setup and use, and offers up to three unique creative applications for you to download for free. • The first thing you’ll notice when using Wacom Intuos is how natural it feels. Thanks to EMR (Electro-Magnetic Resonance) technology, the battery free pen with 4,096 levels of pressure sensitivity provides a natural drawing experience that can keep going as long as you do. Whilst its ergonomic design and light weight make it sit comfortably in your hand, allowing you to experience both precision and control. • Whatever drawing style you use there are a variety of Felt and Flex Nibs to choose from, all of them cleverly stored inside the pen itself. You can even customize the pen’s two buttons and the tablet’s four ExpressKeys to suit your creative process. • The super slim and compact design means that this pen tablet is at home anywhere. But don’t be fooled by its looks, it’s still as durable and powerful as ever. • With the active drawing area stretching edge to edge you have more room on your desk and more room to create. 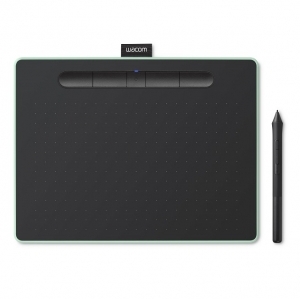 • Wacom Intuos is designed to make your creative process hassle-free. The built-in pen tray holds your pen in place, whilst the four ExpressKeys allow you to work quickly and easily. Plus, the addition of Bluetooth connectivity means you can connect to your PC at the click of a button. • Tailor the Wacom Intuos to enhance your style by downloading a range of free creative applications. Combined with the power of the pen, greatness awaits. 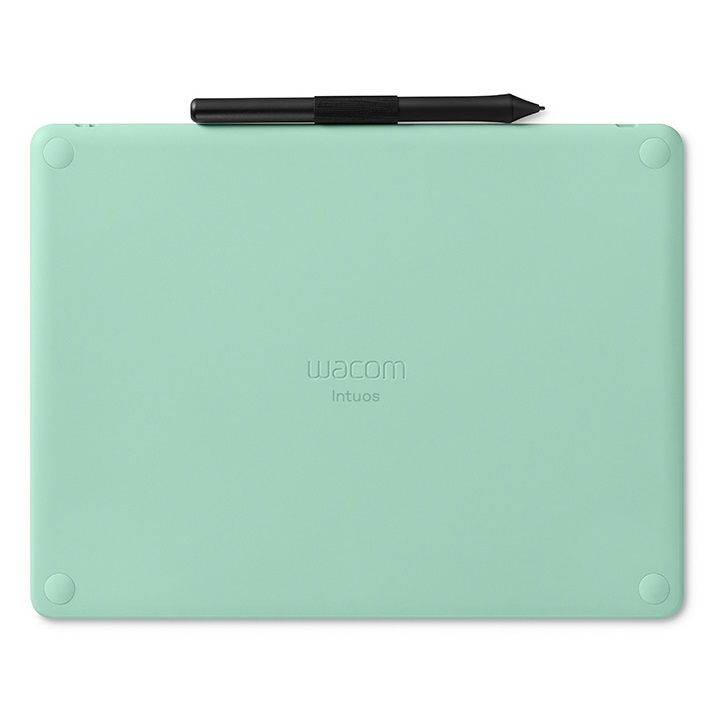 The Wacom Intuos Medium comes with your choice of up to three of the following softwares. Note: To get your complimentary software you need to sign-in or create a Wacom ID with your personal data and register your Intuos. Number of available software depends on the model. To begin using the Corel software after installation, registration with Corel is required. • Turn your passion for photography into unforgettable memories with powerful processing tools and presets to enhance any image from good to great. • Release your inner artist with a wide variety of painting styles, award-winning Natural-Media brushes and photo effects to create an authentic, hand-painted look. • Online User Guide and Important product information found in Wacom Desktop Center.